Roofs do not last forever, that is the bottom line. Whether you have purchased a brand new home, or you have owned your home for twenty years, roof maintenance is an important responsibility. For the most part, major roof failures including leaks, missing shingles, or interior water damage result when we ignore minor problems. Unfortunately, many homeowners are shocked when they learn the price of a roof replacement, especially considering the fact that minor repairs are usually easy and inexpensive. As is the case with any costly problem, it is always best to prevent problems than to wait for them to arise; similarly, prevention is almost always the less expensive route. Preventative residential roof maintenance should be scheduled at regular intervals so that a professional contractor can inspect the condition of your roof and identify potential problems in advance. Regularly maintaining your residential roof not only helps to keep your roof in good condition, but internal elements of your home as well. Roof leaks can cause thousands of dollars of structural and aesthetic damage, but this does not need to be the case. Residential roof maintenance will solve external problems before they cause internal problems. Moreover, as roof damage allows water to infiltrate your home, standing water can get trapped in the ceiling or attic potentially leading to the formation of mould and mildew which are known to cause health problems. Indeed, in many cases of regularly scheduled maintenance, residential roof repairs are quite minor and inexpensive. If these problems are ignored or overlooked, more major concerns will arise. These major concerns will likely lead to more damage on roofing surfaces which will become increasingly expensive to repair. Maintenance should ideally be scheduled after winter months when inclement weather such as heavy snowfall is likely to have had the greatest impact on your roof. A fall inspection is also advisable to ensure your roof is in optimal condition for withstanding winter weather. 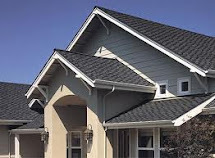 As you can see, regular maintenance prevents costly repairs in two ways: first, residential roof maintenance allows you to identify small leaks or damage to material before they become big problems; and, regular maintenance ensures that your roof is structurally sound and providing the best protection when you need it most. Ultimately, an effective residential roofing maintenance program should be scheduled for twice a year. Your contractor should inspect your roof and roofing fixtures such as vents, chimneys, and gutters while also checking that roofing materials are in good condition. During maintenance debris will be removed from your roof and minor repairs will be made. Not only does maintenance prevent future repairs, but it also extends the life of your roof which is a cost saving measure on its own. Homeowners will to try to repair their own roof sometimes because they want to save money. This can be very dangerous not to mention it can make things worse in some cases. A homeowner usually anticipates regular maintenance every year such as HVAC repair, painting or plumbing problems. With each call to a contractor to fix things around the house costs can add up. Many homeowners also pay on preventive yearly maintenance contracts or home buyer warranty plans that only cover a selective range of problems. Above all things constructed on your home your roof is the most important. Some homeowners will try to save a few bucks by going to the local hardware store and pick up a bucket of tar or some shingles. No matter how much confidence you have in your home improvement skills trying to create a Band-Aid can lead to more potential problems down the road. A roof leak can be very harmful and cause an unsafe environment to live in. Even a small roof leak can cause a massive amount of black mold and wood rot. A roof leak can be ongoing for many years without any notice. Dampness can also attract termites and other annoying nuisances. Climbing up on a roof can be very dangerous for anyone without much experience. Roofs can be steep and they also have surface mold that is very slick to walk on. Attempting to do a roof repair without sufficient training or safety precautions is not only life threatening, it can cause a severe injury to occur. When repairing your roof it is always best to contact a specialist. A professional experience roofing contractor can examine your situation and help resolve any roofing problems that you might have. Most roofers have certifications and many years of experience dealing with roof repairs. In fact many roofers have spent a great deal of their lives analyzing and conducting roof repairs on a day-to-day basis. A professional roofer will use his own fundamental troubleshooting steps to find out the cause and effect of your roof problem. Sometimes when a homeowner tries to repair a roof on his own it can cause additional problems or make the repair more complicated for the roofing contractor. This is and can cause price of the repair to be higher than expected. If you have an emergency and the rain is coming in asked the roofing contractor to see if he can do a temporary repair to watertight your home until the repair can be scheduled to be done properly. The roof over your head is the most important part of your home. It protects your belongings, the structure of your home and the health and safety of your family. A roof repair is not something to be taken lightly. Find a roofing contractor that you can trust to provide you with the best advice that will use many years of experience to correct your problem. Not all repairs of the same, each roof has a different design and installation flaws from previous contractors. Don't let your wallet guide you in the direction of making a hastily decision that you will regret in the near future. 1. Confirm that they have a permanent address and other forms of contact information: There are a number of people who work in construction that operate out of their vehicles, which creates a huge risk of unreliability and untrustworthiness. A permanent address means there is an easily accessible, physical location where you can contact them in case of problems. Permanent addresses also signify good enough finances to pay rent and other expenses, which a good roofing contractor should have at their disposal. Ideally, you should also have his or her name, number, business and personnel names, as well. 6. Evaluate their past performance and customer service: The only real way to get a sense of a professional's skill is to see it in action, or look for prior evidence. The way they interact with customers currently, including you, is a good way to signal their level of skill and experience, as are the direct records of them. Gutters are a necessity of home construction. They collect rainwater off of the roofing and disperse it away from your home. Even if it is properly installed and arranged, it will still require maintenance. They will need tightening, section replacement, and painting to keep up their appearance and performance as the years go by. Yet, at some point, replacement will be an issue and why not now with seamless gutters. They are the most popular installation across the country because of their efficiency and minimized maintenance requirements. There are so many great features that take gutters to a more effective and dependable level than ever before. Seamless gutters are just that. It is constructed to wrap around the edge of your roofing system as if it is an extension of it. It is so sleek and attractive that it blends in with the color of your roofing materials, your home trimming, or the paint color of the siding. The leaders and drainpipes are also flush with your house; it creates a discreet look that is clean and stylish. However, the aim of seamless gutters is not to impress with looks, it is to impress with performance of its contribution to foundation damage, landscaping erosion, walkway shifts and driveway repair protection by keeping excessive moisture away. The name of the seamless gutters system comes from the fact that the length of the gutters has no seams in order to cut down on the possibility of leak and stays strong. This means the system is continuous and wraps around your home to only have joining seams at the corners for an attractive finish. The long-term use and stability is evident not only in your choice of copper, steel, aluminum, or vinyl material choices, but there is also a photograph online with a man hanging from the system and it is not bending or moving. What's also exciting is that your system can come with leaf guards to help keep down debris entry during the storm months and leaf falling months too. You receive all of these options for installation but how long does it take? Well, depending upon the size of your home, your installation can be complete in the matter of a single day. You can have your old faulty system taken down and a more convenient, long-term option installed in its place before the heavy rain comes in this spring. Inspecting your roof just before the cold weather arrives is a good idea, and as the shingles are the most important defense against damage, firstly check these for cracks or breakages. Check your chimneys, flashing and other vents and fixtures and also scrape off any accumulated debris or algae; this can damage roof shingles. Water is directed down your gutters by the shingles, making the gutters one of the most important parts of your house. You can prevent water damage to your property and even potential flooding, by keeping gutters clear and unblocked. Water can also freeze in your gutters during colder weather, which can stop water from flowing off the roof. Water on the roof can then freeze, causing expensive damage to the roof and the structure of your house. Trees can shed limbs as well as leaves during the fall, and the biggest cause of damage to roofs is the damage caused by tree limbs falling on to them. High winds during the colder months can make it far more likely that you experience roof damage due to falling tree branches. One way to prevent this potentially costly damage is to make sure that you are routinely inspecting the trees and bushes around your home, especially any that hang over the roof of your house. If you see any limbs or branches that are hanging directly over your roof, you should remove them; however, unless you have the experience and the right equipment to do this, it is strongly recommended that you use the services of a professional company. They will be able to cut off only those dead or dying branches that are a threat to your roof and your home. You may be used to cleaning the inside of your home during the spring, and it is a good habit to get into to make a point of cleaning your home's exterior during the fall, especially the roof. You can keep your home safe and dry and maintain the value of your home by practicing basic cold weather roof maintenance, including removing dead tree limbs, cleaning out rain spouts and gutters and generally checking your roof for any visible damage. A great number of reasons could be behind the cause of roof damage such as falling objects, weather (wind, rain, snow, etc) and animals. A significantly damaged roof has the potential to cause structural problems to a property and encourage mildew in mold growth. If you are aware of the main signs of roof damage it will help you determine what the right course of action might be to have those repairs rectified. If wishing to inspect the roof it often helps to use a pair of binoculars and look from ground level. Avoid walking on the roof as this can be very dangerous. Also, certain signs of roof damage, such as leaks, are often quite evident from within the property. A leaking roof is often repaired quickly and easily provided that the damage isn't too significant. If you are able to detect the area of the leak, then it often helps to isolate the problem and have it repaired appropriately. Here are some are some of the most common causes for roof to leak, which should help you determine if he roof needs the assistance of a professional roof repair contractor. Missing or loose tiles are often quite noticeable and one of the easiest signals to confirm a roof has a problem. The potential for a leak is quite high and this problem should be rectified as soon as possible. Also, if the tiles or shingles appear to have folded, cracked or blistered, then this is another concern, as tiles in this condition aren't likely to be able to protect the roof from severe weather conditions. Exposed or loose nails are a further sign of a damaged roof, which might result in water damage. Loose nails are a problem as the rainwater has the potential to flow beneath the nail head and into the property. A sagging roof can indicate signs of quite significant damage to the roof. A roof might sag at either the reaches or slope. You might also become aware of a roof sagging between the rafters in the loft. If the guttering system often overflows than that might indicate that the roof isn't actually functioning as it should. Also, it is important to look out for water that seems to collect at the base of the house or foundation, which can also indicate the start of a roof related problem. If you start to see signs of internal water damage then this is again an early sign that the roof is damaged in some way. Although, depending on the extent of damage, this problem might relate to insufficient ventilation inside a house. Common signs of water damage inside a property relate to stains on the ceilings or walls, a ceiling that starts to sag, and stain wood. If a problem with the roof starts to gets quite bad then you might notice the cost of the heating bills going up. For instance, if a leaky roof is able to let cold air into the property, it would be a lot more difficult to heat the home, and as a result the cost of the monthly gas and electricity bills will increase. If you suspect you may have roofing damage, call ABOVE ALL ROOFING CO.! We are a family owned and operated contractor located in Vacaville, California; serving the surrounding counties and the Bay Area. We are here for all your roofing needs. We have extensive knowledge, with 37 years of experience in many types of roofing systems. Our goal is to provide you with quality workmanship, timely service and fair pricing. Our estimates are always free. We are licensed, bonded and insured and a member of the Better Business Bureau. The Best Of 2012 - Last Day To Vote! 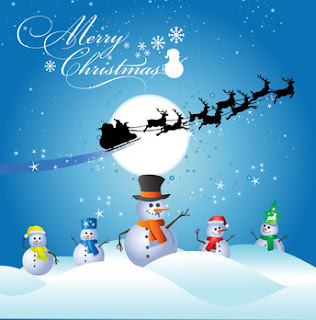 Above All Roofing would like to ask you to take the time to let the rest of Solano County know how much you love us! Please vote for us in the Reporter's "Best of 2012" poll. The Best Of 2012 - Only 3 Days Left To Vote! Your Roof, Should You Repair or Replace It? When your roof leaks, you know that you must do something about it. The question is, should you repair it or replace it? Replacing the roof is a major expense that you may want to defer for as long as possible. Following are some factors to consider when deciding whether to repair or replace your roof. The first thing to consider is the condition of the roof. If a few shingles are missing here and there or you have a leak in one area, you can probably have the roof repaired. But if shingles are missing or you are experiencing lifting, curling with frayed edges and there are a number of leaky areas or the roof has sustained major damage, replacement may be the best option. The age of your roof is another factor to consider. Most asphalt roofs last 20 to 30 years before they need to be replaced, while metal and tile roofs can last even longer. Some manufacturers of roofing materials offer warranties on their products too. If your roof is reaching the end of its lifespan and you are noticing problems related to the roof's condition, you know that a new roof will be needed. But if the roof is not that old, repairing it might be the best option, especially if the warranty is still in effect. If that is the case, contact the roofing manufacturer to find out how to proceed. If your roof is nearing the end of its lifespan and you are starting to have minor problems with it, consider your budget. Because replacing a roof can cause thousands of dollars, you may not have the money available to undertake this project right away. In that case, you may want to have minor roof repairs done to give you time to save enough money or to obtain a loan so that you can have the roof replaced. If you decide that replacing your roof is the best option, you must then decide if you want to have a new roof placed over the old one or if you want the old roof torn off and replaced with a new one. If there is only one layer of asphalt roofing on your house, it is usually possible to have the new roof placed on top of the old one. This is less costly than having the old roof torn off first. However, if there are already two layers of roofing on the house, you will probably have to have a tear-off done. You must also decide on the type of roofing materials you want to use. Research the advantages and disadvantages of each type of roofing material to make that determination. A good rule of thumb to use when figuring how much a new roof will cost you would be. Shingles are purchased by the square (which is 100 square feet), an approx. down & dirty number to use in figuring the costs of a roof would be $250 per square for a "roll over" (go over one layer of shingles) & $350 per square for 'rip & re-ply (take off all layers of shingles and install new). Replacing a roof is a major project and can be quite costly. Before you go that route, use the factors listed above to make an evaluation of your roof and the options available to you. That will help you decide if you should repair your roof or replace it entirely. The Best of 2012 - Vote For Us! A roofer is a professional who steps in to help you with the management of one of the most critical components of your home. If your roof is not working properly, has leaks, allows moisture to seep into the home, or is otherwise reducing the structural integrity of the building, it is time for you to take steps to fix the problem. These professionals do more than just replace the structure. They can also help you to preserve the value in your home as well. One of the key things the roofer will do for you is to determine the extensiveness of any damage to your home. To do this, he or she will need to inspect the structure. Keep in mind that if you can trust the professional you have brought to your home, you will have no problem trusting in the decisions he or she makes about the condition of the roof. It is a good idea to consider factors such as the condition of the current structure, including the wooden framework underneath. Sometimes, in very bad situations, a total replacement is necessary. Once the problem is better understood, you can trust a roofer to provide you with options. You can choose from a variety of types of roofing materials. You may want to choose one that offers better energy efficiency. You can count on your roofer to help you to pick out materials if you like. If you want to preserve the integrity of the style of the roof, it may be a good idea to go with the same type of tiles or shingles that were used originally. For example, to preserve the character of the home, it may be a good idea to choose clay tiles instead of asphalt shingles. It is also a good idea to allow the roofing professional to guide the process. You need to know that the job is going to be done well so that there are no leaks or concerns for you to worry about in the coming months and years. When you get quality service, you can be sure that the job will be done properly. You have to put in the time to locate someone you trust do a good job. The good news is that it does not need to be difficult to find a roofer who can help you to prevent water damage and to preserve the character and value of your home. Talk to and request quotes from several providers. Look for the one that does more than just offer the lowest price. You want someone who also guarantees the quality of the finished structure. Imagine sitting at your kitchen table enjoying dinner when suddenly your roof begins to leak right in front of your eyes. Thoughts of repairing the area may have crossed your mind, but often faulty areas are not visible from the street. This scenario is not likely to happen to most people, but there are numerous minor problems that can end up causing huge damage. Without proper roof maintenance you are at risk of a failure happening at any given time. Maintaining your roof can be made very easy through self examination or hiring a professional. It is well worth the time and money to know that your home is a solid foundation to live. A professional service is your best bet for fixing and preventing roof problems. Having them come to your home occasionally and inspect all areas of the surface will make for a full proof prevention. By repairing any small flaws and replacing broken shingles your roof will appear brand new. Shingles are one of the easiest parts to maintain, as they can be replaced individually without installing a whole new roof. Even if major damage is clearly unstoppable, repairing the area will clear your slate and allow you to do things the right way this time. Cleaning your rooftop is another part of keeping it properly maintained. Appearance may not affect the functionality, but it is an important part of your home's image. Professionals can climb on all sorts of roofs from flat to steep surfaces. During the fall especially, roofs are left with mounds of leaves and sticks occupying the surface. Power washing, or sweeping, the area will illuminate any unneeded rubbish. The most rigorous part to clean is without a doubt going to be the gutters. Your best friend when they function correctly, but your worst enemy when they stop. With gutters, they do require a certain amount of cleaning maintenance. If they become too full of random debris they can clog. When clogged, water can not pass through resulting in a large problem. Gutters are there to prevent flooding and with the smallest amount of maintenance they will never fail you on a rainy day. What's stopping you from maintaining one of the largest parts of your home? Just a quick fix, inspection, and clean is all it takes to protect your investment. Professionals can come anytime of the day, even if you are not home. It's quick, it's easy, and it's affordable. The type of gutters you have on your home can really determine how well your home is kept safe and dry. In order to preserve the integrity of your roof, you need to make sure you have the right kind of rainspouts on it. The better quality materials and products you use, the better drainage and water runoff you will have. If you want to invest in the best type product, you are going to need seamless gutters. You don't ever want any type of obstructions in your drainage tubes, because this can create a very expensive and dangerous problem. It can cause water to flood into your home and help aid the development of mold, which can be toxic to your household. With the advancement of technology, design and the development of better construction materials, it is now possible to prevent leaking, flooding and the development of structural issues that are related to an excess of standing water on your roof and around your foundation. Keep in mind that if you have used traditional style gutters in the past, one of the most common concerns that many homeowners ignored is leaking. Leaking may not seem like a big deal, but when it is not addressed, it can some very big problems when it comes to your home's structure. Leaking can erode your home's exterior; eat away at the supports that secure the drainage system to the house and cause rotting of your roof and other structures. You don't want your home to become unsafe or a hazard for anyone to be in or around. You need to invest in jointless tubing because they minimize your risk for leaks and remain structurally sound for many years. One way to increase the value of your home is to have your seamless gutters installed by the professionals. These devices are designed in such a way that they consist of a single piece of material. There aren't any joints or other elements that will deteriorate and allow contaminants into the system at a later date. You don't need to have as much maintenance visits or repairs as their traditional counterparts. You can get more consistent usage than you would use the older versions, which have more parts and joints. Seamless gutters can be installed more efficiently and securely than any other kind of drainage tubing. They are also structurally incompatible with rodents that like to make their home in them. Chipmunks, birds and squirrels who all contribute the damage of your home's drainage systems are less likely to make their way into your new seamless gutters. Something you need to consider is if you decide to invest in seamless gutters, they are not something you can install on your own. You will need a professional installation company to secure them to your home. Because of the need for professional installation, the cost of this type of tubing is a bit more than others. Your roof can last up to 20 years if it is built well or regularly maintained. One of the biggest reasons a roof can fail is by lack of maintenance. You can help your roof last longer by using the proper measures to check for repairs needed and to ensure you are doing what you need to do for the type of roof that you have. A well-built roof is built by the proper materials that will withstand the adverse weather conditions for your area. The signs of a damaged roof are different and vary by the type of roof you have. The list below are some popular types of damage your roof can have. 1. Cracks or Tears - Roofs with tiling or shingles may crack with age. Cracks can cause potential leaks in the attic or crawlspace. Cracks may not always be seen from the ground. Some cracks can be too thin to spot without close inspection. 2. Hail Damage - When a storm hits your neighborhood, it can be difficult to see the hail damage done to your roof. There are ways to detect whether there is actual damage to your roof without having to physically climb on top your house. Check your gutters for dings and dents. If hail damaged your gutters, chances are, there is hail damage to your roof. You can also look at the drain spouts of your home. Roof damage will show black mineral deposits around the downspouts. 3. Wind Damage - The stress levels of wind are higher on the corners of the roof. Wind can loosen the materials at the corners and once loose, wind can go underneath and push the roof up, exposing the underside. Rain and hail can creep in and the looser the roof, the more the wind can grasp on to it to tear it off. Other forms of wind damage to a roof is flying debris. This type of debris can accumulate or block drain pipes causing flooding. 4. Debris - Accumulated debris can cause damage to all parts of the roof's drainage system, from the gutters and downspouts to the drain openings. Organic debris such as leaves can create fungal growth or dark brown to black stains on your roof. This type of debris can cause moss to grow which can shorten a roofs life by holding moisture in concentrated areas of the roof. Also, depending on the climate your house is in, this moisture can freeze. The most popular residential roofing in North America is asphalt roofing shingles. All across US and Canada homeowners opt for this versatile and economical roofing option. The shingles are waterproof, long-lasting, tough and durable. Most important of all they are very inexpensive and very easy to install. Asphalt shingles are manufactured by a process where asphalt is used to bind together ceramic granules. This helps keep the granules in place and also increase the strength and longevity of the shingles. To explore asphalt roofing shingles in details let's take a look at strip asphalt. This is very similar to slate roofing and is made of single layer of asphalt that is integrated with the base material of the shingles. Asphalt serves as the binding agent for the additives like ceramic and keeps them in place. In a perfect world residential roof shingles would be cheap, affordable, will last a life-time or more and require absolutely no repairs or after-care. Since, we don't live in a perfect world and since, most roofs would not last more than two decades we need to make our choices with care and try to make our investment last as long as possible with minimum fuss in terms of maintenance. Making the right choice in terms of residential roofing material helps us to reduce our roofing costs in the long-term, use less of the nature's resources, use less of landfill and overall be better citizens of the planet. Choose lighter shades in hot climates and darker shades in colder areas to further reduce your impact on nature. These colors help to keep the home naturally comfortable with lesser need for cooling and heating. Point to note - cost does not equate to quality nor do all types of roofing materials suit all kinds of requirements. Certain materials work well in certain conditions and it is best to choose the right ones for the local climate and needs. Key to the long life of your roof is proper maintenance, right installation and choosing of right residential roofing shingles. Wood - Wood shake is natural, offers character to the roof, wide choice in terms of color, thickness, size and type of wood. It is a great insulator, allows the roof to breathe and keeps home comfortable. It needs proper maintenance for long-life. Insects might burrow holes in the roof. Mold and rot are real problems on roofs not cared for properly. Fire retardants are a must for wood. Installation is complex and look, feel and life of the roofs depends a lot on the installation ability of roof contractor. Some types of roof repair you can do on your own. For example, if one of the gutters begins to come down, you can nail it back into place and not have any lasting problems as a result. In other cases, the problems are more complex. It is often best to turn to a professional roofer to have most repairs done. That's because these professionals can help to safeguard the overall structural integrity of your home. If you do not do the job correctly yourself, on the other hand, you could risk putting your home's structure at risk. There are times when you can handle the roof repair on your own without any major complications. A good example of this is replacing an individual shingle that blows off. By just climbing up to the structure and handling the job, you can get the same basic outcome. The shingle is in place and there is nothing further to do. In other cases, it is necessary to call a professional. Not doing so could put your home at risk. - Are you experiencing leaks within the home or the attic space? If that is the case, not only is there a hole of some type on the roofing structure, but there may also be damage to the interior portion of the home. This includes the insulation and the ceilings. - Do you have substantial rotting occurring of the gutter or the backboard against the house that the gutters nail into on most homes? If so, you may need to take the entire system down and replace all of the rotting material to get a secure foundation again. - Do you have damage to the wooden structure or a large quantity of the shingles on the roofing structure? If so, you need a professional to help you with these repairs. They may require replacement within a new system themselves, or they may require extensive repair to the pieces of plywood underneath. Without any experience in this area, you may not be able to do enough of the repair work on your own. Without a roofing system that is strong and durable, the entire home is at risk. The best way to prevent this problem is to address any type of roof repair right away. The longer you put it off, the worse the outcome and the more extensive the damage will be. It is up to you to find the right professional to do the job for you. Once done, you can be more confident in the outcome that it creates for your home for years to come. 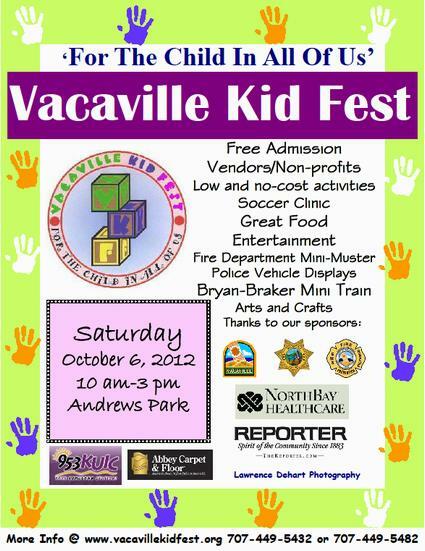 Don't Forget About The Vacaville Kid Fest, Sat, Oct 6th in Andrews Park. For The Child In All Of Us! A leaking roof often causes significant inconvenience. In the dry, summer months the roof rarely gets a look in. As any potential problem often goes noticeable until the weather turns and it starts to get wet outside. Leaking roofs, if un-repaired for a period of time can result in quite noticeable damage to the structure of the property, as well as the interior fittings. Hence it is therefore vital to take the right steps to carry out roof maintenance at regular intervals to help with avoiding serious, on-going defects. Internal Damp - a quick and easy way to detect signs of a leaking roof is to inspect the ceilings upstairs for dripping or water marks. A leaking roof is often the most common reason to have a damp patch appear on the ceiling. Also, look for signs of cracks, which could mean that a roof has been leaking for some time. Soaking a Roof - a quite efficient step to self-detecting leaks is by soaking a roof with either a sprinkler system or garden hose. This should easily show up possible leaks and can also let you know if a ceiling crack is related to water damage. Other procedures can be used to detect leaks, although these two options are quite easy for the typical homeowner. Missing Tiles - keep a regular eye out of missing tiles or shingles, especially after extremely gusty weather conditions outside. If lose or missing tiles becomes a significant problem it might well be worth talking to a roofing company about what might be done. In some areas where it is often wet, it might benefit to have a roof replaced with new. Damp or Mold - look out for possible signs of damp and mold near such places as a skylight, vent or chimney, which could be an early indication of a roof starting to leak. Roofs are often exposed to leaking where the tiles overlap and therefore makes it important to check the joints as careful as possible. Professional Check-up - for a complete novice to DIY related tasks it can be quite difficult to expose all signs of leaks, and therefore it might well benefit to call on the services of the experts. A professional roof company would be able to do an in-depth inspection for leaks, and if any are found, they can give advice on what action might be necessary to put the roof back to its prior watertight condition.